Chicago (August 7, 2017) — Thirteen Corboy & Demetrio lawyers have been selected by the Illinois legal community in 2017 as Leading Lawyers. The designation of being a Leading Lawyer is limited to the top 5 percent of lawyers licensed to practice in Illinois. With its 13 Leading Lawyers, Corboy & Demetrio boasts a total greater than any other Illinois plaintiff’s personal injury law firm. In fact, seven Corboy & Demetrio lawyers have continuously retained their prestigious status since 2003, when Leading Lawyers began. 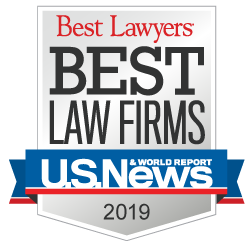 In building its Leading Lawyers list, Law Bulletin Media conducted extensive statewide surveys asking: “If you couldn’t take a case in your area of law, to whom would you refer a family member or friend?” Lawyers could not nominate themselves or any lawyers at their own firm. All recommendations must be approved by the Leading Lawyers Advisory Board, eliminating the possibility of lawyers being selected through a popularity contest. Additionally, Andrew P. Stevens joined the list of Emerging Lawyers, which encompasses less than 2 percent of Illinois registered attorneys. Emerging Lawyers must be age 40 or younger unless they have practiced law for 10 or fewer years. In creating its Emerging Lawyers designation, Law Bulletin Media surveyed each Illinois Leading Lawyer, asking for the names of the state’s top up-and-coming talent who will determine the future of the legal profession.